Watch the moment an aspiring film director enjoyed a front-row seat for a volcanic eruption in Chile. 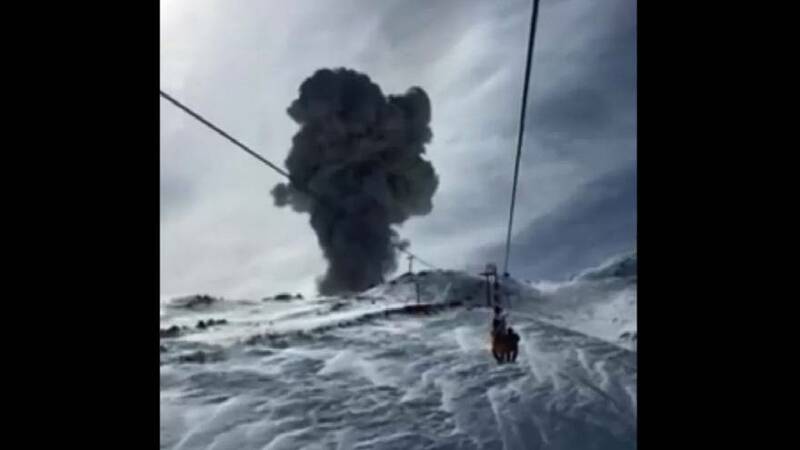 Gonzalo Llamas Sebesta — who works for a production company in Argentina — captured the footage as he was being carried above the snow at Chile’s Nevados de Chillán resort in the Andes mountain range. The video was posted as authorities recorded an explosion at an active volcano in the same region. Chile’s national emergency office, ONEMI, issued a yellow alert — the second highest on its scale — to communities living in the vicinity of the Nevados de Chillán volcano. The explosion emitted a 5,000-foot column of dust and ash.